In 2010 Hansen Clarke unseated a seven-term incumbent in the Democratic primary before going on to represent the city of Detroit in the U.S. House of Representatives for one term. His path to the House was as unique as it was unconventional. Clarke had a casual, approachable way about him, and he asked people to refer to him simply as “Hansen.”1 In 2005 the Detroit Free Press called his life an “underdog story … a classic,” an “up-from-the-east-side hard-luck tale.”2 Indeed, the struggle of his childhood shaped his political philosophy and oriented him toward policies that he hoped would help both Michigan’s disadvantaged citizens and its businesses. After law school, Clarke began practicing as an attorney. He cemented his local public service credentials while running the Detroit district office of U.S. Representative John Conyers of Michigan and working for Wayne County Executive Edward H. McNamara.9 Clarke made the jump to elective office in the early 1990s, serving in the Michigan state house of representatives from 1991 to 1992 and again from 1999 to 2002. In 2003 he began an eight-year stint in the state senate. 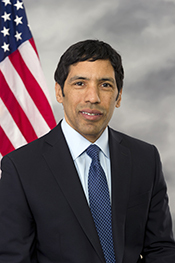 In the House, Democratic leaders appointed Clarke to two committees, the Committee on Homeland Security and the Committee on Science, Space, and Technology.30 On the Homeland Security Committee, Clarke served on the Border and Maritime Security Subcommittee and the Emergency Preparedness, Response, and Communications Subcommittee. On the Science, Space, and Technology Committee, Clarke served only on the Subcommittee on Research and Science Education. 1Bob Campbell, “Yes, Politicos Really Do Have a Heart,” 8 August 2010, Detroit Free Press: A24. 2Nichole M. Christian, “Clarke Has Done His Neighborhood Proud,” 1 July 2005, Detroit Free Press: 12. 3Dawson Bell, “Clarke Runs His Campaign Like He Lives, from the Heart,” 20 July 2005, Detroit Free Press: 1. 4“Rep. Kilpatrick Vanquisher, Hansen Clarke, Has Some Story,” 4 August 2010, National Public Radio, http://www.npr.org/sections/thetwo-way/2010/08/04/128978167/rep-kilpatrick-vanquisher-hansen-clarke-has-some-story (accessed 20 March 2015); Aziz Haniffa, “Hansen Hashim Clarke,” 25 February 2011, India Abroad (New York): A17-A18. 5Zev Chafets, “Rep. Hansen Clarke and Detroit’s New Renaissance,” 29 December 2010, Newsweek, http://www.newsweek.com/rep-hansen-clarke-and-detroits-new-renaissance-69073 (accessed 17 June 2015). 7Bell, “Clarke Runs His Campaign Like He Lives, from the Heart.” See also “Media Center: Biography,” on Hansen Clarke’s official campaign website, accessed 21 August 2015, http://www.hansenclarkeforcongress.com/media-center/. 8Bell, “Clarke Runs His Campaign Like He Lives, from the Heart”; Christian, “Clarke Has Done His Neighborhood Proud”; “Questions & Answers: State Sen. Hansen Clarke, Find the Waste, Serve the Citizens,” 20 July 2005, Detroit Free Press: 9; Congressional Record, House, 112th Cong., 2nd sess. (10 July 2012): H4690; Kathleen Gray, “Clarke Out of Debates, Alleges ‘Racist Rhetoric,’” 30 June 2012, Detroit Free Press: A1. 9Ann L. Brownson, ed., Congressional Staff Directory, 1990/1 (Mount Vernon, VA: Staff Directories, Ltd., 1990): 375; “Biography,” official website of Hansen Clarke, accessed 18 June 2015, archived at http://webarchive.loc.gov/all/20120105224404/https://hansenclarke.house.gov/about-me/full-biography. 11Marisol Bello, “Running for Mayor, Who Spent What?,” 23 July 2005, Detroit Free Press: 3; Kathleen Gray and Hugh McDiarmid Jr., “In a Minute: Michigan News Briefs,” 18 August 2005, Detroit Free Press: 3. 13Gina Damron, “Detroit: Meeting Looks at Eviction Reprieve,” 15 June 2008, Detroit Free Press: 3. 14Chastity Pratt Dawsey, “Detroit Lawmaker Pushes for State to Force DPS Change,” 6 November 2008, Detroit Free Press: 4. 15Chris Christoff, “The Fallout of Cherry’s Dropout,” 6 January 2010, Detroit Free Press: A2. 16Chris Christoff, “Clarke Quits 1 Race, Weighs Another,” 16 January 2010, Detroit Free Press: A3; Kathleen Gray, “Clarke Is Challenging Rep. Kilpatrick For Seat,” 9 March 2010, Detroit Free Press: A3; Todd Spangler, “Rep. Kilpatrick Has Smaller War Chest Than ’08,” 16 July 2010, Detroit Free Press: A6. 18Kathleen Gray, “Tough Past Fueled Clarke’s Victory,” 5 August 2010, Detroit Free Press: A10. 23Kathleen Gray, “Tough Past Fueled Clarke’s Victory,” 5 August 2010, Detroit Free Press: A10. 25“Free Press Endorsements,” 1 August 2010, Detroit Free Press: A26; Kathleen Gray, “Clarke: ‘I Have the Chance To Make Real Changes,’” 5 August 2010, Detroit Free Press: A1; Kathleen Gray, “Clarke Upsets Kilpatrick as Family Dynasty Ends,” 4 August 2010, Detroit Free Press: A4. 26Office of the Clerk, U.S. House of Representatives, “Election Statistics, 1920 to Present,” http://history.house.gov/Institution/Election-Statistics/Election-Statistics/. Clarke won 100,885 out of 127,076 votes. Four other candidates took a combined two percent of the overall vote. 28Todd Spangler, “Clarke Is Ready to Start Helping State,” 6 January 2011, Detroit Free Press: A11. 29Todd Spangler, “Mr. Clarke Goes to Washington,” 21 November 2010, Detroit Free Press: A25. 30Todd Spangler, “Michigan Has Power Drain in Congress,” 8 August 2010, Detroit Free Press: A20. 32Todd Spangler, “U.S. Rep.’s Long-Shot Plan To Fix Detroit,” 28 September 2011, Detroit Free Press: A1. 33Congressional Record, House, 112th Cong., 2nd sess. (29 March 2012): H1796; Congressional Record, House, 112th Cong., 1st sess. (19 July 2011): H5162; Congressional Record, House, 112th Cong., 2nd sess. (11 December 2012): H6686–6687. 34“Michigan US Reps. Benishek, Clarke Going on the Road,” 25 July 2011, Associated Press. 35Kathleen Gray, “Redrawn Maps Create Uncertainty For State Dems,” 21 August 2011, Detroit Free Press: A10; Kathleen Gray, “Clarke to Run in New 14th; Conyers Weighing Options,” 23 August 2011, Detroit Free Press: A3; Kathleen Gray, “Peters Ahead of Clarke in Cash As Costly Race Looms,” 18 October 2011, Detroit Free Press: A3; Kathleen Gray, “Competitive Races Form In New Districts,” 17 April 2012, Detroit Free Press: A5. 36First quotation from Kathleen Gray, “Clarke Out of Debates, Alleges ‘Racist Rhetoric.’” Second quotation from Kathleen Gray, “Clarke Gains An Endorsement, Criticizes Attacks,” 4 July 2012, Detroit Free Press: A3. See also Kathleen Gray, “5 Candidates Find Common Ground,” 2 July 2012, Detroit Free Press: A3. 37Kathleen Gray, “Conyers, Peters on Way to Big Victories, Latest Poll Shows,” 3 August 2012, Detroit Free Press: n.p. ; Kathleen Gray, “Campaigns Down to Wire—And Getting Downright Nasty,” 6 August 2012, Detroit Free Press: n.p. ; Kathleen Gray, “Conyers And Peters on Track Back to U.S. House,” 8 August 2012, Detroit Free Press: n.p. 38Kathleen Gray, “Michigan Has No Shortage of Candidates For Upcoming Tough Congressional Races,” 23 April 2014, Detroit Free Press: A4; Kathleen Gray, “Familiar Faces Fill Race For Zigzagging 14th District,” 26 June 2014, Detroit Free Press: A4. 39Kathleen Gray, “Clarke Surges Ahead in 14th District House Race,” 16 July 2014, Detroit Free Press: A6. 40Kathleen Gray, “Money, Endorsements, Voter Outreach Key as Race Reaches Final Days,” 31 July 2014, Detroit Free Press: A9; Kathleen Gray, “Hobbs, Lawrence In Tough U.S. House Battle,” 6 August 2014, Detroit Free Press: A10. 41Kathleen Gray and Todd Spangler, “Primary Victors Facing Big Tests,” 7 August 2014, Detroit Free Press: A1. "Hansen Clarke" in Asian and Pacific Islander Americans in Congress, 1900-2017. Prepared under the direction of the Committee on House Administration by the Office of the Historian and the Office of the Clerk, U.S. House of Representatives. Washington: Government Publishing Office, 2018.